President Goodluck Ebele Jonathan will travel to Brussels Tuesday at the head of Nigeria’s delegation to the Fourth European Union-Africa Summit scheduled to open in the Belgian capital on Wednesday, April 2, 2014. The summit has “Investing in People, Prosperity and Peace” as its theme. Participants including President Goodluck Jonathan, the President of the European Council, Mr. Herman Van Rompuy, the President of the European Commission, Mr. Jose Manuel Barroso, other Heads of State and Government of the European Union and Africa as well as leaders of the European Union and African Union Institutions will, among other matters, discuss ways of stimulating further growth and creating more jobs in Nigeria and other African countries. Education and training, women and youth, legal and illegal migrant flows between both continents, investments in peace and ways to enhance EU support for African capacities to manage security on the continent are also on the agenda of the summit. The Brussels Summit will also provide an opportunity for participants to review EU-Africa relations based on the Joint Africa-EU Strategy which was adopted in Lisbon in 2007 and explore options for greater mutually-beneficial cooperation between Africa and Europe. President Jonathan whose entourage will include the Minister of Defence, Lt.-Gen Aliyu Gusau (rtd. ), the Minister of Foreign Affairs, Ambassador Aminu Wali and the Minister of Industry, Trade and Investment, Dr. Olusegun Aganga will hold bilateral talks with Chancellor Angela Merkel of Germany and some other participating heads of state and government before leaving Brussels for Abuja on Wednesday night. The Office of the National Security Adviser has embarked on ‘Exercise Quick Think’, a crisis management exercise in order to continue providing strategic level training to stakeholders. The exercise which was coordinated by Gen TT Waya, Director PC4, was to engage the participants from intelligence and security agencies in situation evaluation, execution of situation evaluation and crisis management. It was also set to test participants abilities in intelligence collation evaluation and dissemination; also set to further practice participants in intelligence sharing and joint operations planning; test the skills of intelligence agencies in analysing information; to further underscore the importance of information sharing between and amongst intelligence and security agencies and to develop plans for multi agency crisis decision making. It will be recall that Section. 1(A) of the Terrorism Prevention Act 2011 rests the coordinating role in matters relating to terrorism on the Office of the National Security Adviser and further avails the office with the mandate to “ensure the formulation and implementation of a comprehensive counterterrorism strategy, build capacity for the effective discharge of the functions of relevant security, intelligence, law enforcement and military services under the act and do such other acts or things that are necessary for the effective performance of the function of the relevant security and enforcement agencies under the act. According to Mr. Karounwi Adekunle, Special Assistant Media to NSA confirmed that, the NSA recently did a roll out of the ‘Soft Approach’ with the support of the presidency. In his words ” 18 months ago, I directed the Behavioural analysis and Strategic Communication Unit in my office to develop a program that seeks to implement the PREVENT work strand of our national counter terrorism strategy. They visited Saudi Arabia, Indonesia, Singapore, Algeria and Australia to talk with officials from United Kingdom, European Union, academics and members of civil society groups both at home and abroad. Simultaneously, I directed the Economic Intelligence unit in my office to explore the efficacy of economic interventions that will contribute to the PREVENT Programme. The team has investigated what other nations facing terrorism have done successfully in the areas of job creation, poverty alleviation and economic empowerment. Based on these, we identified the need for an economic turnaround initiative in the aftermath of the State of Emergency in Adamawa, Borno and Yobe States. These activities have given birth to our soft approach to countering terrorism”. From the foregoing, it is apparent that the ‘Soft Approach’ ,a product of painstaking research and wide consultations should enjoy the confidence of committed Nigerians. A new International calling sim card is now launched in the UK for calling homes at a cheaper rate. Lomo in Ngbandi meaning Peace is the newest in the telecom market that is estimated to be in the region of £500 million in the UK alone. The Ngbandi are an ethnic group of the upper UbangiRiver, who inhabit the southern part of the Central African Republic and the northern part of the Congo. We all need peace. Lomo features latest additions and strongly focus on the customers and clients which they hope will differentiates it from others in the market with a catch phrase of Bringing Light to life! This is the results of many months and years research, planning and development by the company according to the CEO, Mr. Victor “Finally, through many months of hard work despite poor health and subsequent transplant are here today to proudly launch and present you with your own new International Calling Card and Sim- The Lomo Mobile Sim. 1 – Connection to your love ones and businesses at an affordable rate. 2 – It’s the perfect sim that focus on better added customer services. 3 – Lomo Mobile number ranging features means that the rate your loved ones abroad are charged when they call your Lomo Mobile is a lot cheaper and can be compared to calling a local rate. 4 – Lomo Mobile will be providing a money wallet. A money wallet allows you to easily top up the phones of your loved ones abroad within minutes. 5 – Lomo Mobile from the market and many features are coming soon. 7 – Lomo Mobile is a new mobile virtual network operator (MVNO) providing affordable pay as you go text and 3G from the United Kingdom to around the world. Reports in some domestic media today which quoted President Goodluck Jonathan as “confirming” in Amsterdam that the Nigerian National Petroleum Corporation (NNPC) wrongly withheld $10 Billion from the federation account are completely false and a total distortion of the President’s comments during his meeting with the Nigerian community in the Netherlands. At no time during the well-attended reception did President Jonathan also confirm any “irregularities” in the NNPC. Sensational reports in the media to that effect are reckless, mischievous and unprofessional misrepresentations of the President’s restatement to the Nigerian community of the Federal Government’s position on the allegation that $20 Billion is “missing” from the NNPC or the Federation Account, by reporters who were not at the event or even in Holland at all. President Jonathan’s verifiable words while responding to questions from members of the community on the allegation and other domestic issues were clear and unambiguous. President Jonathan went on to say that to reassure Nigerians of his administration’s continued commitment to openness, transparency and probity in the aftermath of the unsubstantiated allegations, the Federal Government had authorised a professional forensic audit of NNPC accounts to clear the air. The Presidency deplores the mischievous and unethical distortion of his comments in the media today. Once again, we urge the media to show greater regard for truth and accuracy when reporting on the President. President Goodluck Jonathan Monday at the Hague in the Netherlands reaffirmed Nigeria’s full commitment to the global fight against the threat of nuclear terrorism, but said that Nigeria, under his leadership will continue to pursue efforts to harness nuclear energy and technology for socio-economic development. In his statement to the third global security summit which opened in the city today, President Jonathan said that while Nigeria will continue to support all efforts against the proliferation of weapons of mass destruction, including nuclear weapons, the world must respect the right of countries to the peaceful use of nuclear energy for development purposes. “As a developing country, Nigeria needs to harness nuclear technology for socio-economic development. It is for this reason we subscribe to the view that international and regional cooperation efforts should be based on the principle of maintaining a balance between nuclear non-proliferation obligations and the inalienable right of States to the peaceful uses of nuclear energy for development purposes. “While this is important, we would also like to draw attention to the need to maintain the highest standards of nuclear safety and security in establishing peaceful nuclear facilities,” the President said. He told the gathering that in keeping with Nigeria’s commitment to the non-proliferation of nuclear weapons and the peaceful use of nuclear technology, the Federal Government has submitted an executive bill to the National Assembly to accommodate the country’s obligations under international treaties on nuclear safety and security. “Nigeria accords high priority to all global efforts towards ending the proliferation of weapons of mass destruction and their means of delivery, including nuclear weapons. To this end, Nigeria has since the last Summit in Seoul, strengthened the legal framework for fighting terrorism through the adoption in 2013, of an amendment to its Terrorism (Prevention) Act, thus ensuring the implementation of more robust counter-terrorism measures in the country. “Nigeria’s ratification of some international treaties and conventions in the realm of nuclear safety, security and safeguards has necessitated the review of the Nigerian Nuclear Regulatory Authority Act resulting in the recent decision of the Government to submit a new Bill to Parliament for consideration and passage into law in order to accommodate our obligations under these instruments. “The instruments include the Convention on the Physical Protection of Nuclear Materials and its amended version of 2005, the International Convention for the Suppression of Acts of Nuclear Terrorism. The intention of the bill is to ensure the fulfilment of Nigeria’s international and national Nuclear Safety, Security, Safeguards and radiation protection obligations, by domesticating the international treaties. The bill is presently awaiting passage by the National Assembly. “Furthermore, as part of the outcome of the 2nd Nuclear Security Summit held in Seoul, South Korea in 2010, States Parties were urged on voluntary basis, to embark on the process of converting their reactors from the use of Highly Enriched Uranium to Lowly Enriched Uranium. Consequently, Nigeria is working in collaboration with the United States of America and China for the conversion of Nigeria’s limited stock of Highly Enriched Uranium used in its research reactor to Lowly Enriched Uranium,” President Jonathan said. Noting that one of the main objectives of the Nuclear Security Summit was to reduce the amount of dangerous nuclear materials in the world by preventing materials that can be used to produce nuclear weapons from falling into the hands of terrorists and unauthorized non-state actors, the President said that Nigeria supports the immediate commencement and early conclusion of negotiations on a “non-discriminatory, multi-lateral and internationally and effectively verifiable treaty banning the production of fissile materials for nuclear weapons”. He commended the United Nations Secretary-General, Mr. Ban Ki Moon for establishing a Group of Governmental Experts which will begin work in Geneva next week on the proposal. “Nigeria shares the view that fewer nuclear weapons translate into more nuclear security while at the same time reducing the risk of proliferation. “But it is even more important that States as represented at this Summit demonstrate the necessary political will to embark on the path towards the ultimate goal of total and complete nuclear disarmament under strict and effective international control,” President Jonathan concluded. He thanked the Prime Minister of the Netherlands, Mr. Mark Rutte for hosting the summit and commended President Barack Obama who was present at the opening ceremony “for his continued leadership of this important project”. Other world leaders participating in the summit include President Xi Jinping of China, Prime Minister David Cameron of Britain, Chancellor Angela Merkel of Germany, President Francois Hollande of France, Prime Minister Shinzo Abe of Japan, the President of South Korea, Ms. Park Geun-hye and the Secretary-General of the United Nations, Mr. Ban Ki Moon. London (March 24th, 2014) — MoneyGram (NASDAQ: MGI), a leading global money transfer and payment services company has extended its exclusive relationship with Post Office Limited in the UK. The agreement allows customers to send and receive funds at over 11,500 Post Offices across the UK. The Post Office, which serves almost 18 million people a week, has been a MoneyGram agent since 1997. “The renewal of this 17-year working relationship is a testament to a shared vision.” says Carl Scheible, executive vice president, Europe, Africa and Emerging Channels at MoneyGram.“Together, MoneyGram and the Post Office’s network are committed to meeting the needs of consumers who want convenient, reliable and fast money transfer services. We are delighted to continue our relationship with this trusted brand and look forward to continued growth of our shared business. According to the World Bank, the UK is a major source of remittances with an outward money transfer market worth of $3.7 billion *. Nick Kennett, Director of Post Office Financial Services said: “Financial Services is a very important part of the Post Office business, providing an invaluable service to people across all communities. MoneyGram has aligned with over 30 post offices around the world to provide consumers with convenient access to reliable and affordable money transfer services close to where they live and work. MoneyGram International, a leading money transfer company, enables consumers who are not fully served by traditional financial institutions to meet their financial needs. MoneyGram offers money transfer services worldwide through a global network of 334,000 agent locations – including retailers, international post offices and financial institutions – in 200 countries and territories. MoneyGram also offers bill payment services in the U.S. and Canada. To learn more about money transfer or bill payment at an agent location or online, please visit moneygram.com or connect with us on Facebook. The Post Office already provides 170 different services and products spanning financial services including savings, insurance, loans, mortgages and credit cards. It also offers telephony; foreign currency; travel insurance and mail services. The Post Office has been serving communities in the UK for over 300 years and is currently one of the fastest growing Financial Services Company in the UK. The Post Office, now independent of Royal Mail, has an unrivalled national network of around 11,500 branches across the UK, more than all the banks and building societies combined, and sits at the heart of many communities across the country. It serves around 18 million customers a week and half of all small businesses. 99.7% of people live within three miles of their nearest Post Office outlet with 93.1% within a mile. Nigeria’s President Dr. Goodluck Jonathan will leave Abuja today – Thursday. In a statement by the Special Adviser to the President on Media and Publicity, Dr. Reuben Abati, said President Goodluck Jonathan’s visit to the Netherlands for the Nuclear Security Summit will be the final leg of a six-day working tour which will also take him to Namibia and Italy. “The President, accompanied by the First lady, Dame Patience Jonathan will leave Abuja for Windhoek early on Thursday for a two-day state visit to Namibia in the course of which he will participate in a business forum aimed at boosting trade and economic relations between Nigeria and Namibia,” Mr. Abati said. 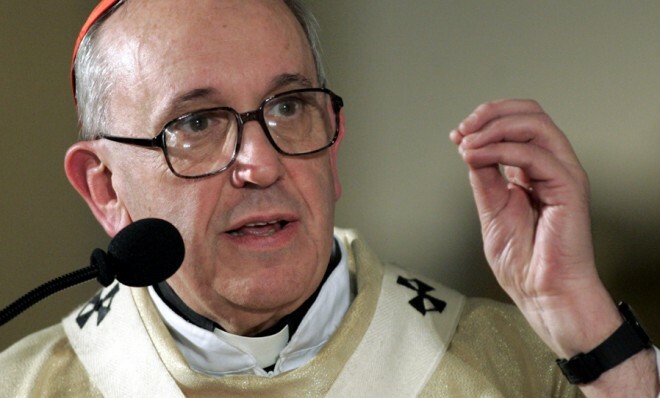 While in Namibia, Dr Goodluck will also attend the celebration of Namibia’s 24th Independence Anniversary as a special guest of honour on Friday; after which he will depart “for Rome and the Vatican for talks on Saturday, March 22, 2014 with Pope Francis and Monsignor Pietro Parolin, the Vatican’s Secretary of State. “The President will leave Italy for the Netherlands after conferring with the Pope and he is scheduled to lead a high-powered Nigerian delegation to talks on Sunday with the Dutch Prime Minister, Mr. Mark Rutte and senior officials of the Dutch Government before the opening of the Nuclear Security Summit on Monday. “President Jonathan will, later that day, meet with the Chief Executive Officer and other high-ranking officials of the Nigerian National Petroleum Corporation’s largest joint venture partners, Shell Petroleum International, which has its headquarters in the Netherlands. “The President will also witness the signing of an investment agreement between Nigeria and Dutch textile giants, Vlisco, and meet with Nigerians living in the Netherlands during his visit. “He will be accompanied by the Minister of Defence, Lt.-Gen. Aliyu Gusau (rtd. 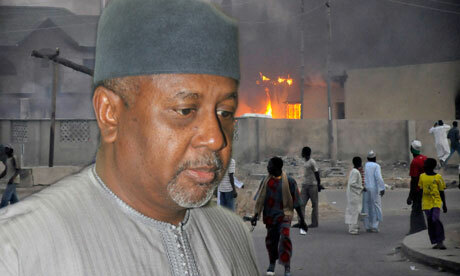 ), the National Security Adviser, Col. Sambo Dasuki (rtd. ), the Minister of Foreign Affairs, Amb. Aminu Wali, the Minister of Petroleum Resources, Mrs. Diezani Allison-Madueke, the Minister of Industry, Trade and Investments, Olusegun Aganga, the Minister of Communications and ICT, Mrs. Omobola Johnson and other senior government officials” Dr Abati said. The Delegates will be hosted by Nigerian Ambassador to Holland, Amb. N N Akanbi. THE REAL STORY – President Goodluck Jonathan has appointed ex of many titles Gen Aliyu M. Gusau into his cabinet and duly cleared by the Nigerian Senate as Minister of Defence. From diverse articles online – one will wonder how the Nigerian people would continue to take such measures in support or against. According to our reliable sources in Nigeria, NSA Sambo Dasuki and Gen Aliyu Gusau (rtd) are in-laws. Our sources highlighted that Aliyu Dasuki was a cousin to Dasuki the NSA. The name Aliyu Dasuki cannot be forgotten easily in Nigeria. He was the businessman behind Hold Trade Air which was involved in airlifting pilgrims and some other services in Nigeria. He died in 1992. He was survived by three children- two females, one male and his wife, Hajiya Jamila Dasuki.. When Aliyu Dasuki died, his widow, Jemila got married to Gusau. The, then, Sultan, His Eminence Ibrahim Dasuki,, in his wisdom nominated one of his sons, Ahmed Dasuki, the immediate elder brother to Jamila Dasuki, and a cousin to the deceased himself in a close knit family, to be the administrator of late Aliyu Dasuki estate. he was said to have traversed various countries, after which proper inventories of the deceased’s properties were made. Ahmed Dasuki was said to have done a thorough job. Jemila, not content went to court and lost. The job of Minister of Defence and NSA are quite distinct. The NSA in line with the National Security Agencies Act is the coordinator of all national security agencies in the country and also Chairman of Joint Intelligence board. The Minister of Defence concerns himself with policies in the Ministry. Did Gusau kowtow to any minister when he was NSA? It would be recalled that sometime ago, terrorists were having a field day in Abuja, Suleja, Kaduna, Kano and some parts of North Central Nigeria. It must be reiterated that terrorism is not a war that can be won in a day as it takes time to subdue. Terrorism is an affront on all Nigerians. There is call for the Nation’s security agencies to be encouraged to do more while observing rules of engagement. The state governments should be encouraged to embark on poverty alleviation programs by establishing small and medium scale enterprises in order to keep jobless youths off the streets. Let all Nigerians not keep aloof; a little intelligence information will make a big difference. We call on the Presidency to advise them to stick to their job specifications. South Africa will not be use for criminal activities against person seeking help in South Africa. “As the South African government we want to send a very stern warning to anybody anywhere in the world that our country will not be used as a springboard to do illegal activities,” Minister Jeff Radebe declared during a justice, crime prevention, and security meeting in Cape Town, South Africa. The Minister while responding to questions on the expulsion of some diplomats from Rwandan last week by the South African government. “The South African government has taken a decision to declare persona non grata persons from Rwanda and Burundi who violated article 41 of the Geneva Convention and article 9 of the Diplomatic Immunities and Privileges Act, so that is the main reason why that action was taken arising from illegal activities that have taken place where attempted murders, including a murder, of [Rwandan] nationals who are in South Africa,” he said. The Rwandan government in retaliation also expelled six South African diplomats from the country. The South Southwest Festival had witnessing a major accident with at least two people dead, more than 20 injured after car plows into crowded section at the South by Southwest festival in Austin, Texas, USA. round and character of the city made it a perfect location for the conference. Austin was considered a fairly cosmopolitan town for its size because of the University of Texas, which draws people from all over the world. As home to the state government and Texas Legislature it has also always been a popular party town, with a reputation that goes back to the 19th century when numerous nightspots and bars were populated by General Custer’s troops after the Civil War. These nightspots are located in the same areas where the 6th Street and 4th Street club and bar scenes now exist. Austin’s eclectic music scene goes back to early in the city’s history (from Mexican, German and colonial origins) and encompasses a wide variety of music including country, folk, jazz, blues and rock. Central Austin boasts more original music nightclubs in a concentrated area than any other city in the world.